Regression Methods for Medical Research provides medical researchers with the skills they need to critically read and interpret research using more advanced statistical methods. The statistical requirements of interpreting and publishing in medical journals, together with rapid changes in science and technology, increasingly demands an understanding of more complex and sophisticated analytic procedures. The text explains the application of statistical models to a wide variety of practical medical investigative studies and clinical trials. Regression methods are used to appropriately answer the key design questions posed and in so doing take due account of any effects of potentially influencing co-variables. It begins with a revision of basic statistical concepts, followed by a gentle introduction to the principles of statistical modelling. The various methods of modelling are covered in a non-technical manner so that the principles can be more easily applied in everyday practice. A chapter contrasting regression modelling with a regression tree approach is included. The emphasis is on the understanding and the application of concepts and methods. Data drawn from published studies are used to exemplify statistical concepts throughout. 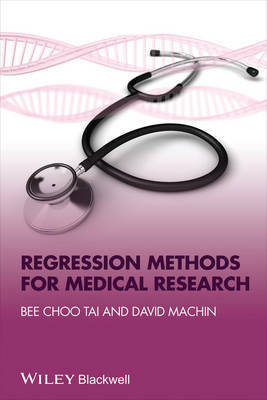 Regression Methods for Medical Research is especially designed for clinicians, public health and environmental health professionals, para-medical research professionals, scientists, laboratory-based researchers and students.